As a ‘St. 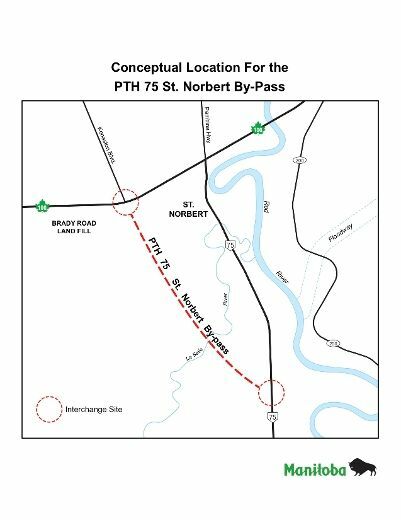 Norbertian’, I and many others in the area have been aware for some time of the concept for re-routing Provincial Highway 75 (NOTE: See media release below) around St. Norbert and connecting to the Perimeter Highway. With the ongoing investments into CentrePort Canada (North America’s largest inland port), combined with the construction of the new Kenaston Avenue–Perimeter interchange, we recognize this concept is moving closer to reality. When the St. Norbert Bypass is built, the majority of trucks entering Winnipeg will have the option to access the Perimeter at the Kenaston Boulevard interchange OR travel north via Kenaston Boulevard. 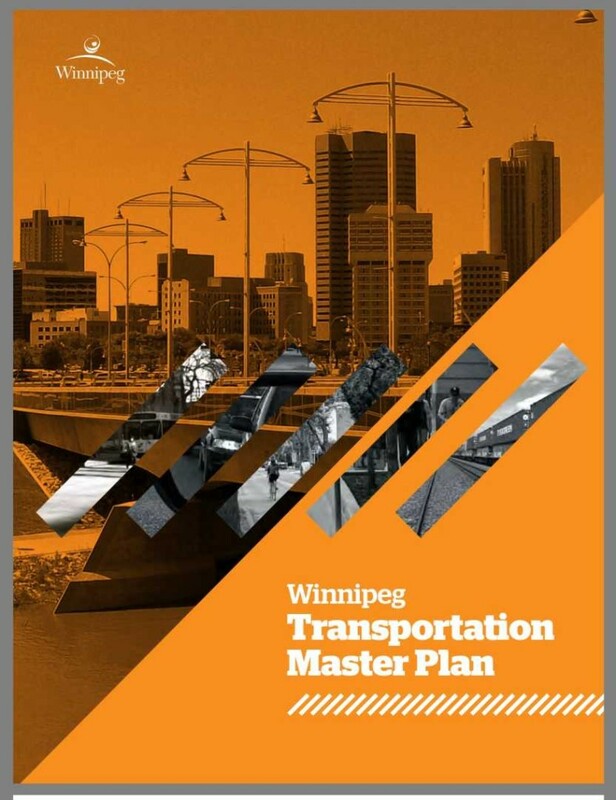 I encourage residents to read the City of Winnipeg’s Transportation Master Plan, and in particular take note of Page 37, which shows major corridors for the movement of goods. CONSULTATIONS: I encourage residents to become very involved in the consultations which the Province will be holding regarding the final route. South Winnipeg is the point of entry for the majority of goods movement by trucks into our Province. Caution, diligence and involvement will be critical in determining the best route. TIMELINE: Local media has reported this project may begin in about five years, and take up to 10 years to complete at a cost of $400 Million. From my 15+ years of experience with transportation projects in the City and Province, I’ve watched many different timeline scenarios unfold. While the North Perimeter 59 Highway exchange was on the books for 30+ years, the upgrades are happening only now. In comparison, just nine years ago, the Chief Peguis expansion was projected to occur in 25 years; instead, it is now built and operational. Projected and actual timelines can vary greatly. GOT QUESTIONS? This Bypass project is a Provincial Highway initiative, and is being funded by the Province of Manitoba. As the City of Winnipeg was unaware of this announcement, and I as the Area Councillor have not received a briefing to date, I encourage you to contact your MLA. The Manitoba government continues to modernize the Perimeter Highway and the capital region transportation system by developing plans for a new St. Norbert Bypass, Infrastructure and Transportation Minster Steve Ashton announced today. These projects will be carefully co-ordinated so the timing of design and construction will allow new interchanges, such as at Waverley Street and Kenaston Boulevard, and a new bypass to smoothly tie together, said Minister Ashton. This project will support Centerport Canada and all of the other trucking routes that move from the Perimeter Highway to PTH 75 and the U.S. border, the minister added. The province is now working on plans to construct new interchanges on the Perimeter Highway, the minister said. While this is underway, the province will consult with the public and prepare functional designs of the St. Norbert bypass. This will be followed by land acquisition to prepare for the construction stage. The Manitoba government recently committed to a three-year extension of the five-year core infrastructure plan, adding an extra $4.5 billion to the original $5.5 billion, for a total of $10 billion.